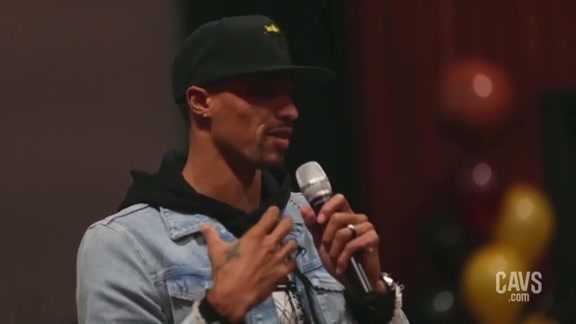 Inspired after watching The Hate U Give when it came out in theaters recently, Cleveland Cavaliers guard George Hill felt moved to share the movie’s message of doing the right thing with teenagers in the Cleveland area. So on Tuesday, November 6th, Hill hosted 100 students from Maple Heights High School and Garfield Heights High School for a private viewing of the movie at Cinemark at Valley View. The teens weren’t just treated to the movie: in addition, Hill hosted an open discussion with them about the movie’s topics, including the importance of feeling empowered to use one’s voice, both before and after the film played. He was joined for the conversations by Cleveland-area motivational speaker Elijah Frazer. 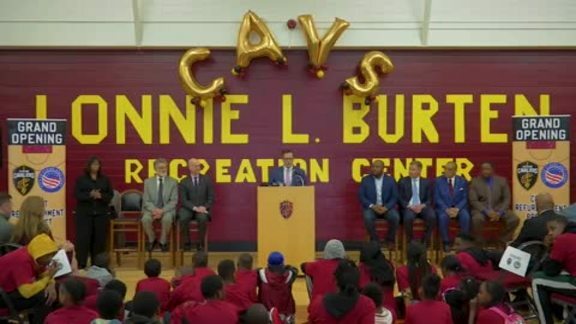 In addition to the students in attendance, Hill also invited several police officers from neighboring communities as well as members of the Cavs Black Heritage Celebration Committee to take part in the discussions. Starr Carter is constantly switching between two worlds: the poor, mostly black, neighborhood where she lives and the rich, mostly white, prep school she attends. The uneasy balance between these worlds is shattered when Starr witnesses the fatal shooting of her childhood best friend Khalil at the hands of a police officer. Now, facing pressures from all sides of the community, Starr must find her voice and stand up for what’s right. The Hate U Give is based on the critically acclaimed New York Times bestseller by Angie Thomas and stars Amandla Stenberg as Starr, with Regina Hall, Russell Hornsby, Issa Rae, KJ Apa, Algee Smith, Sabrina Carpenter, Common and Anthony Mackie. For more information: https://www.foxmovies.com/movies/the-hate-u-give. 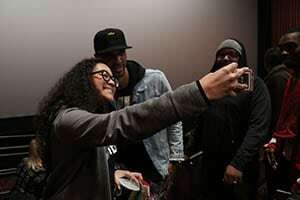 George Hill hosted 100 students from Maple Heights High School and Garfield Heights High School for a private viewing of 'The Hate U Give' at Cinemark at Valley View.